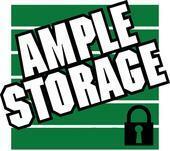 The safest and cleanest self-storage facility in Asheville. Located one block from Haywood Road, across from Milkco, and only 10 minutes from downtown. Security of your belongings is our #1 priority. Our facility is fenced in, requiring computerized keypad entry from every tenant. We also have cameras throughout the facility, and a manager that lives on the premises. Serving the local community, we are the ONLY storage facility in Asheville that caters to local bands, allowing them to practice on the property during normal gate hours. Please feel free to contact us about our availability, or come by to take a tour of the complex! Open Monday through Friday from 10 a.m. until 6 p.m., and Saturdays from 9 a.m. until 4 p.m. Our gate hours are 6 a.m. until 10 p.m. seven days a week.